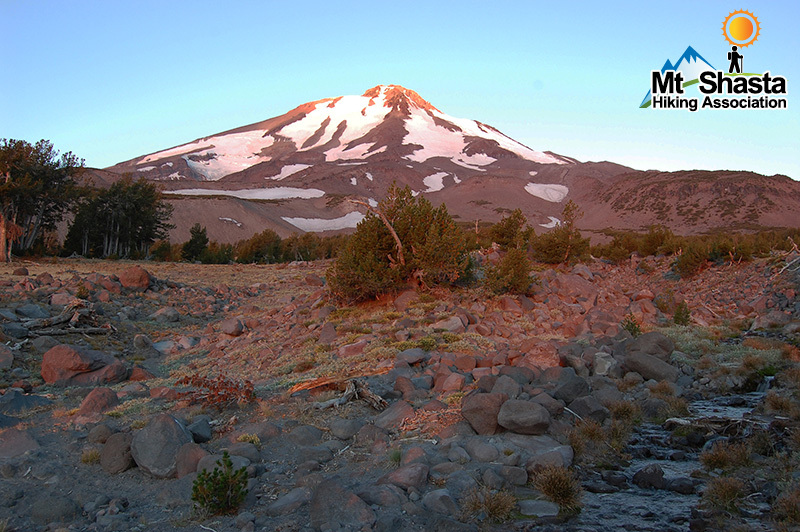 This is the back side of Mount Shasta and is relatively dry due to rain shadow effects. The stark beauty is a result. Most of the creeks shown on maps are dry by late summer, but Brewer Creek usually is flowing past scattered clumps of timberline trees with inviting sheltered resting spots.